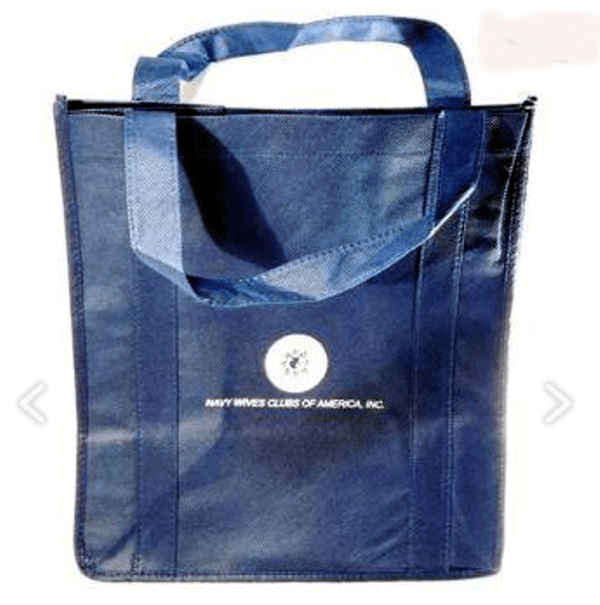 Size: 13" W x 13" H x 5 1/2" D Colors: Two tone blue bag with stamped White NWCA Emblem on one side. Material: Nylon. Tote has two carry handles and a large front pocket with two small inside pockets. Also has an outside, netted bottle pocket on one end and a small outside pocket on the other end.